Scottie Kinland works as the Kennel Manager for the Paws For Care veterinary clinic. Spending his days with animals is the only way he can feel safe. He has first-hand knowledge of how cold and calculating humans can be. How could he ever forget? He wears the scars on his face and his heart.Lance Franklin likes to play the field. Still reeling from a lying cheating fiancée, he’s plowing through men like aspirin; only the pain of betrayal still stings. When he takes his mom’s dog in to the Paws For Care clinic, he’s immediately drawn to the quiet loner Scottie. But Scottie wants nothing to do with Lance.Lance persists and he manages to forge a fragile relationship with Scottie. 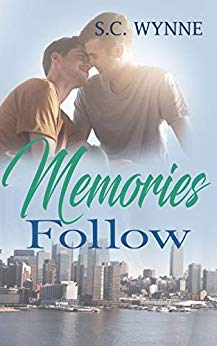 But just as both men begin to believe perhaps fate has something beautiful in store for them; the past collides with their future in a shocking way.